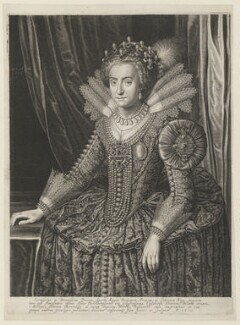 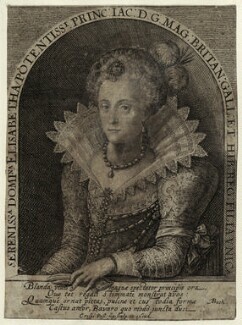 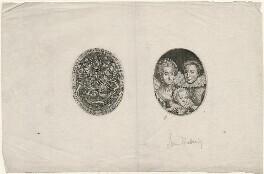 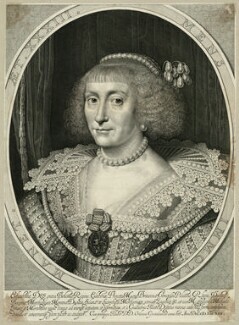 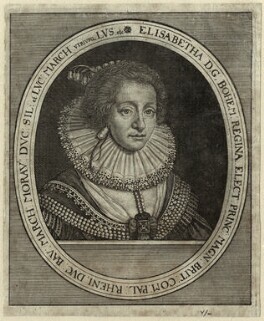 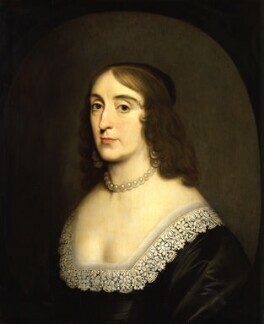 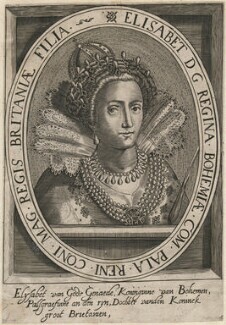 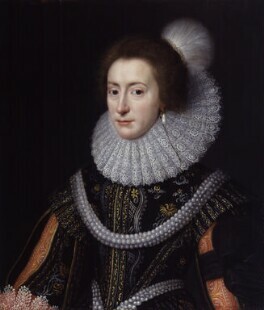 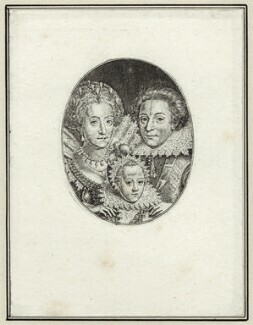 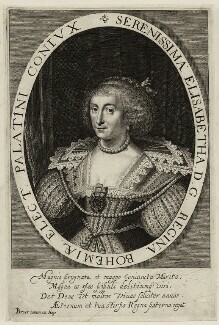 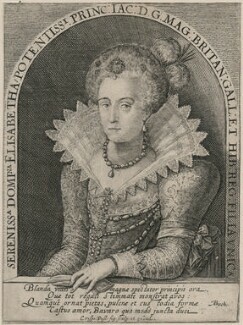 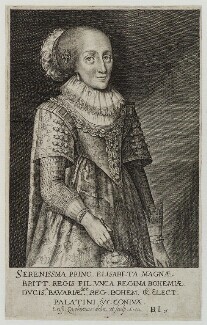 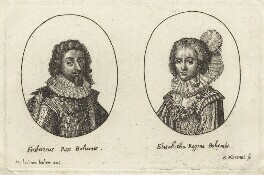 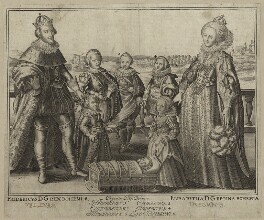 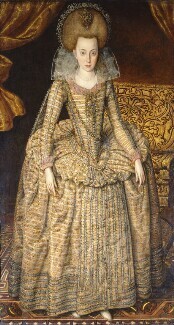 Elizabeth was the only surviving daughter of James I. 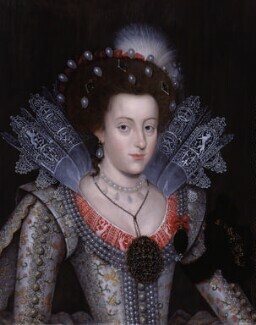 In 1613 she married Frederick, the Protestant ruler of the Palatinate, an area of present-day Germany. 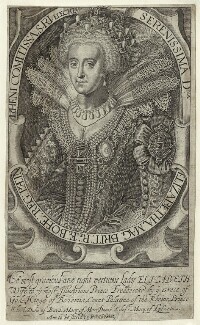 In 1619, following a rebellion against the Catholic Habsburg rulers, Frederick accepted the throne of Bohemia. 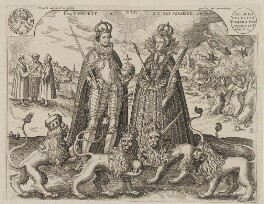 He and Elizabeth were expelled after less than a year, however, in one of the early battles of the Thirty Years' War. 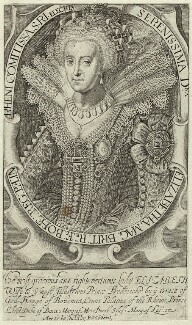 Living in exile in The Hague, Elizabeth came to be seen as an ideal Protestant heroine; her hardships in exile, combined with her beauty, made her a legend in England as 'The Winter Queen'. 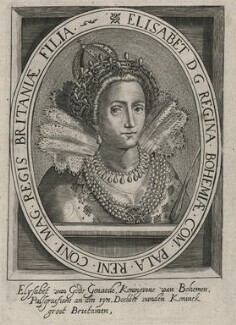 Her large family of children included Prince Rupert and Princess Sophia, the mother of King George I.